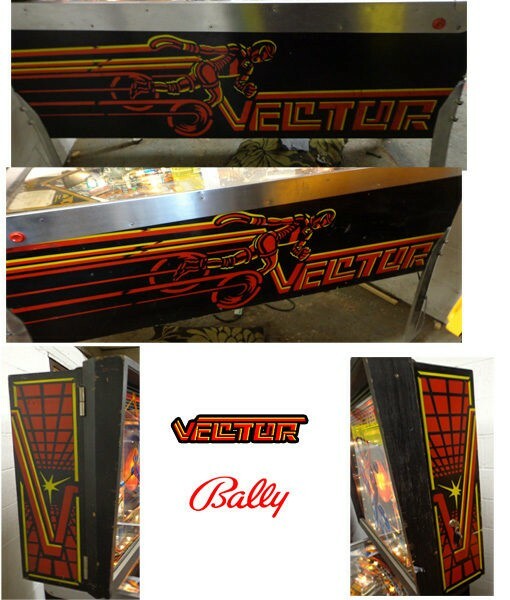 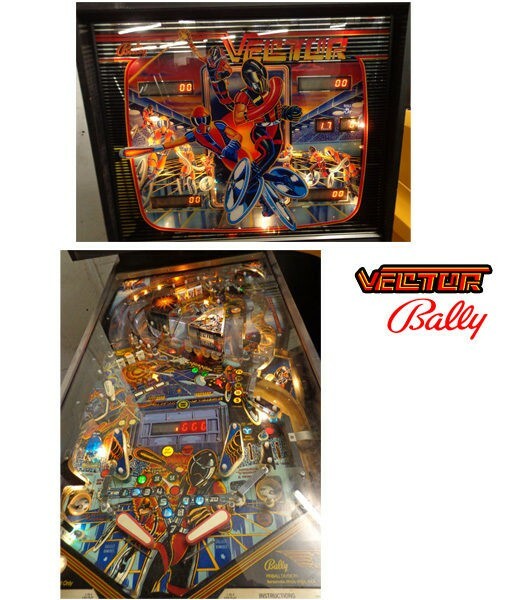 Bally Vector Pinball. 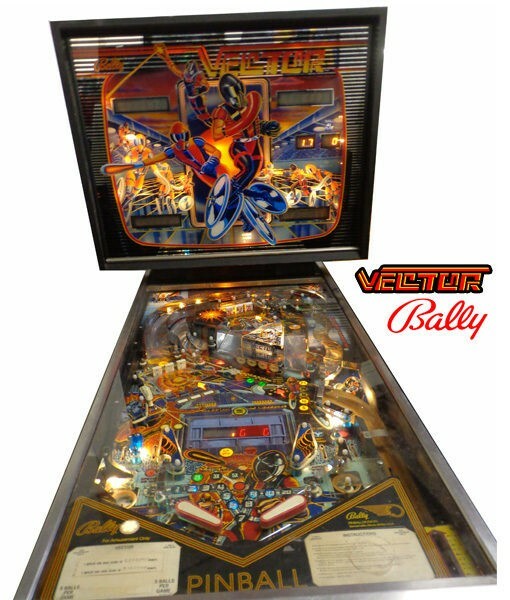 Circa 1982. 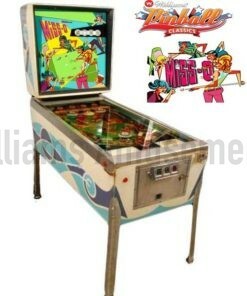 This was the “Golden Year” of Bally pinballs. 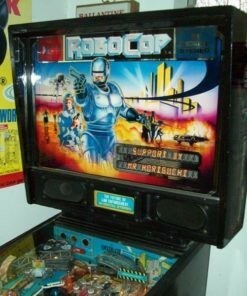 The fantastic retro artwork, sound AND speech was truly amazing. 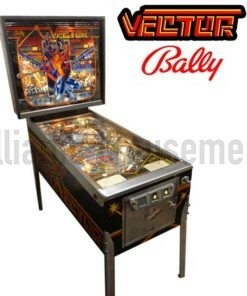 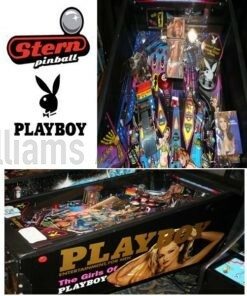 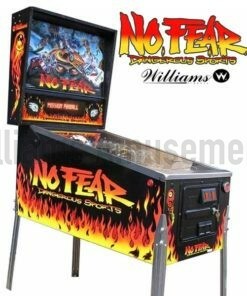 This pinball was all about competing against the new fab of video games. 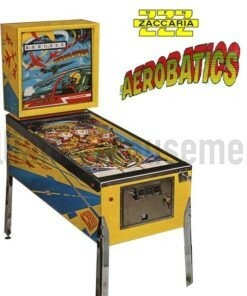 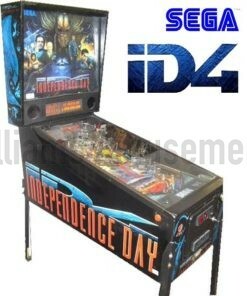 Hence the most feature driven pinball of its day. The most drop targets, ramps, double playfield, 4 flippers, multi ball, times ramp shots the list is endless……This VECTOR is in superb condition. 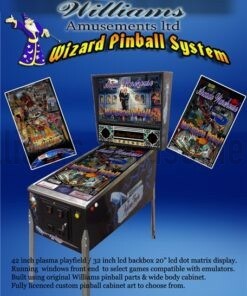 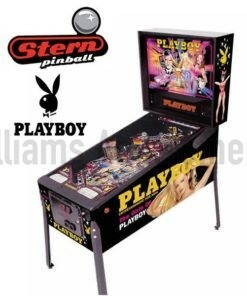 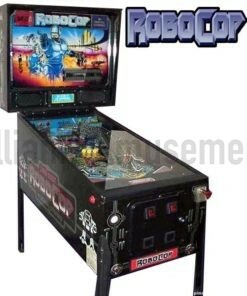 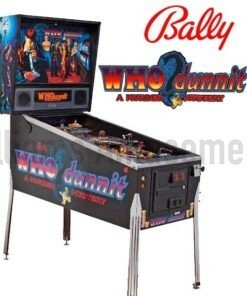 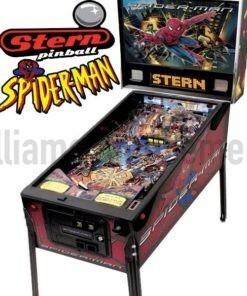 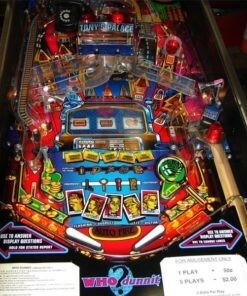 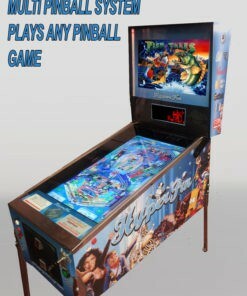 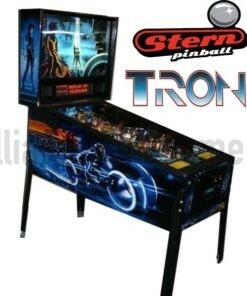 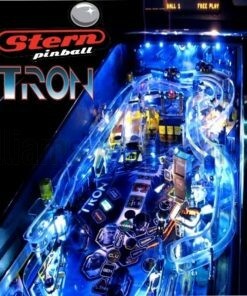 It is a collectable pinball. 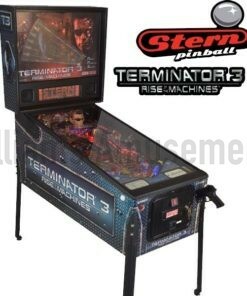 They only made 3500. 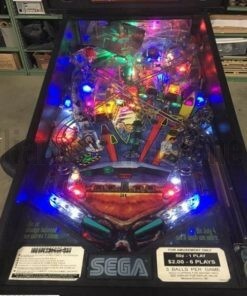 35 years on maybe half still around and working and say half in this condition. 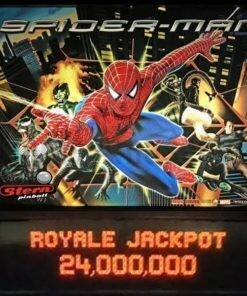 So less than 1000 in the whole world. 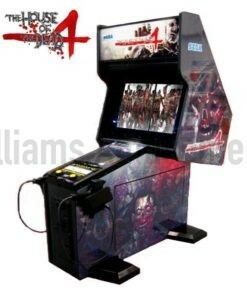 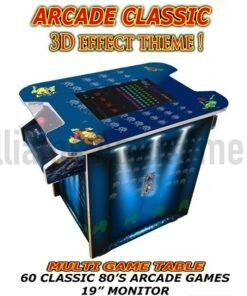 The game play with the 4 flippers is brilliant. 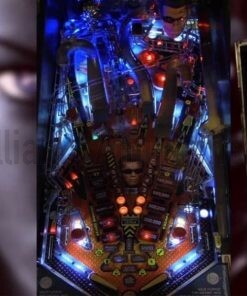 The artwork and attention to detail is fabulous. 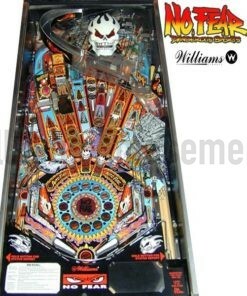 Greg Freres did the artwork. 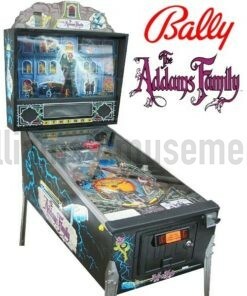 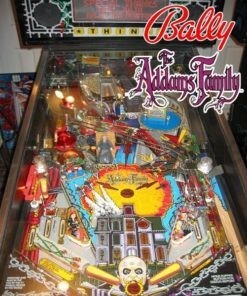 Interesting fact: On one of the plastics you can see the whole cast of the ADDAMS FAMILY!!!!! 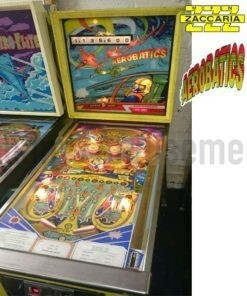 I think copyright wasnt as strong in 1982! 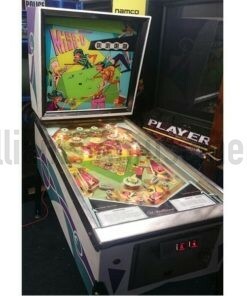 Nicest Vector pinball I have ever seen.